Longford County Council today revealed that it has made payments of almost €2.7 million during the third quarter of 2018. Lagan Asphalt Ltd received €737,440.61 in August, while they also received €316,055.89 in September for roadworks carried out. 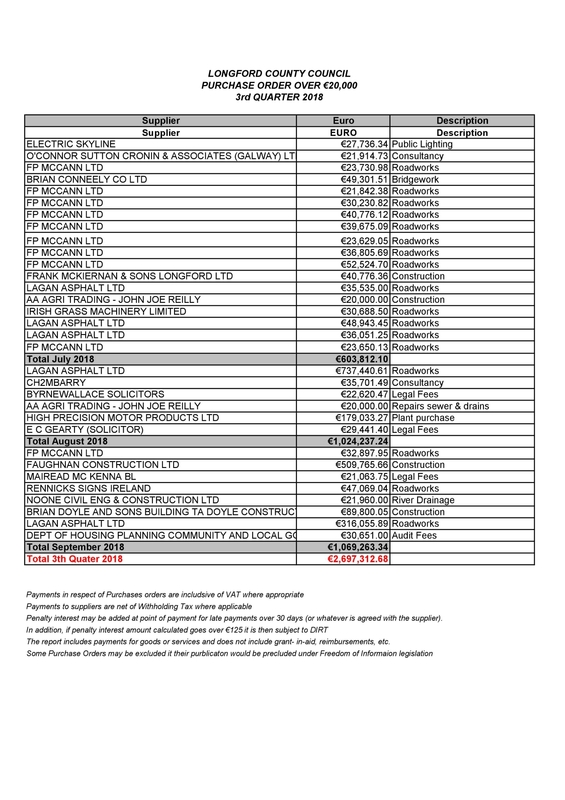 Also in September, €509,765.66 was paid to Faughnan Construction Limited.